Stunning design from Erin Clare. 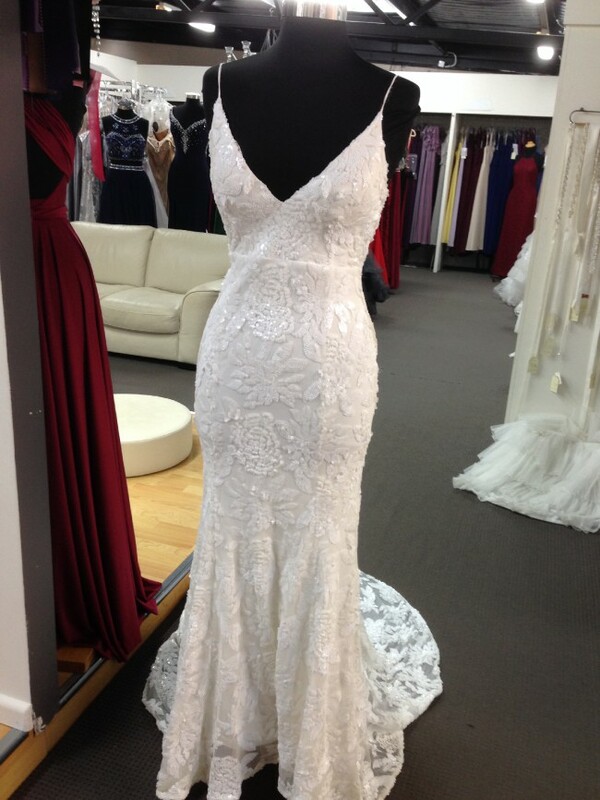 This is the Ashley gown but I opted to not have the split. Beautiful low back with a perfect size train. Been dry cleaned and ready for the next beautiful bride.